We have been established and fine tuning our business since 2005, making us one of the longest running holiday rentals in Antibes. We started by managing holiday rental properties for others then bought our first property in 2006, the ‘Market’ apartment. What a find! We then gradually collected the other apartments over the next few years. We think we are different to any other holiday rental company in Antibes as we are owner/operators, so from your first email to your checkout you’ll get genuine personal service from us. We are local and available, we love Antibes and know it well. A quick and complete answer to your enquiry. A clear description of payment options. A comprehensive welcome guide to the apartment and Antibes, sent at final payment. A personalised welcome at the apartment. A rapid response to any questions or problems. Once we’ve helped you settle in we’re just a call away, and if there’s something we can’t solve over the phone, we’ll pop over to help. 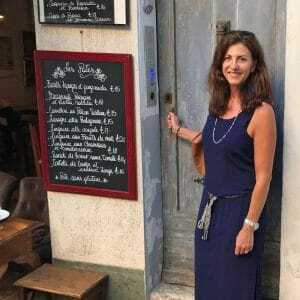 Originally from London, and having always worked in hospitality, Michelle first discovered Antibes during many years working as a chef in the yachting industry. She travelled extensively before and after her first visit to Antibes and she can now happily say she loves living here. She knows holidays are precious and makes every effort to ensure that you’ll have a great one staying with us. She loves her work, and the best reward is always happy guests. Originally from New Zealand, Gary has been travelling the world for more than 30 years. He has just retired from a long career as a yacht captain on some of the yachts you’ll see in the harbour. After directing yacht crews to 6-star service for countless VIP’s he is now general maintenance man for the apartments and loving it!. He helps make sure they are immaculate for your stay and is on hand for any problems.